Africa Day is the annual commemoration of the 1963 founding of the African Union (AU) which is celebrated in Africa and many countries around the world. 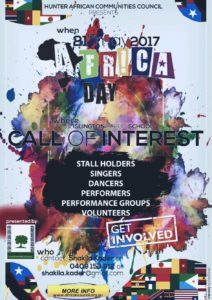 Africa Day provides an opportunity to acknowledge the achievements of the peoples and governments of Africa. This year’s celebration will be on the 21/05/2017 at Islington Public School. All are welcome to the event.